In modern day times we pride ourselves on being busy; always on the run! We undervalue our need to just sit quietly and reflect and recuperate, seeing productivity as the ultimate badge of honour. This comes at a cost. Our bodies are in a perpetual state of low grade stress, throwing important hormones like cortisol out of balance. Hormonal imbalances disrupt our immune systems, our sleep quality, our productivity and our quality of life as a whole. It is important and wonderful to incorporate routines and rituals in our daily lives, such as the use of relaxing essential oils that give us permission to stop and reflect, and also assist us in a transition from frantic to calm. It is no surprise that essential oils can affect our moods. These volatile substances, when inhaled, make their way to our brain centres, our primal limbic system, which is responsible for our emotional memories, among other things. The limbic system can trigger changes in our autonomic nervous system, in term affecting our hormone levels throughout the body. Oh the power of a sniff! Ylang ylang use, as a traditional relaxing agent, has been supported by one study on humans, showing that it calms the sympathetic nervous system (responsible for the “fight or flight” response) and can lower the heart rate and blood pressure (1). Traditionally, ylang ylang has also been considered an aphrodisiac. Nobody is in the mood when they are stressed! Don’t forget about Chamomile, an herb traditionally used to calm babies when they are teething, or children with stress-related tummy aches. This herbal tradition has been carried over to essential oils where it can be diffused in the air or diluted and rubbed onto the body. Instructions: Combine essential oil with the other oils, then add water. Shake well and lightly mist around the room as desired. Directions: Add recommended numbers of drops of essential oils to your diffuser. Enjoy! 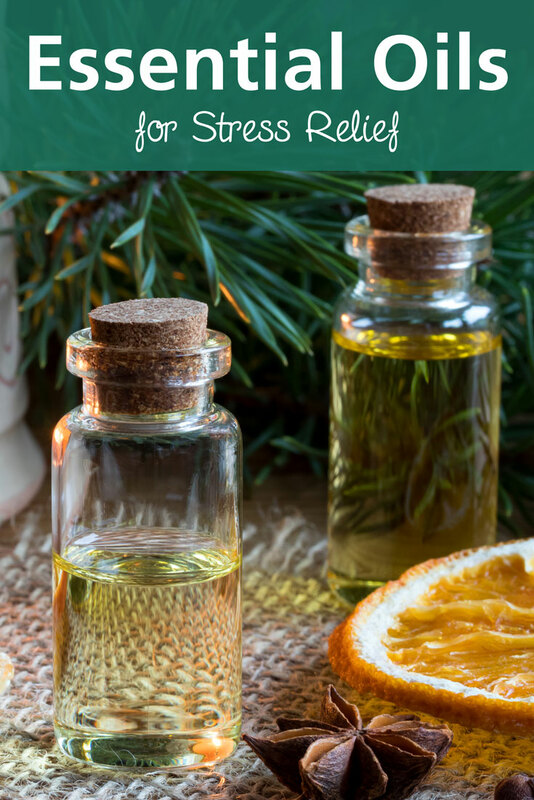 While essential oils have been used safely for centuries, we must use common sense. Be mindful around young children and pets who cannot remove themselves from an enclosed environment where you are diffusing. Never apply essential oils to your skin undiluted (except Lavender). A very safe dilution is 1% which is 6 drops of an essential oil to 30 ml of carrier oil. Always follow the directions on your bottles and/or personal diffusers. Thalia Charney is a doctor of Naturopathic Medicine, public speaker and author of, The Confident Food Shopper: The Guide to Food Labels and Fables. As the Nutrition and Health Education Manager at Puresource (NOW® Health Group Canada), she teaches how natural health products can support optimal health and wellness. For more info visit theclassroomdoc.com.